Sarcophagus | Could Joseph and Imhotep have been the same person? 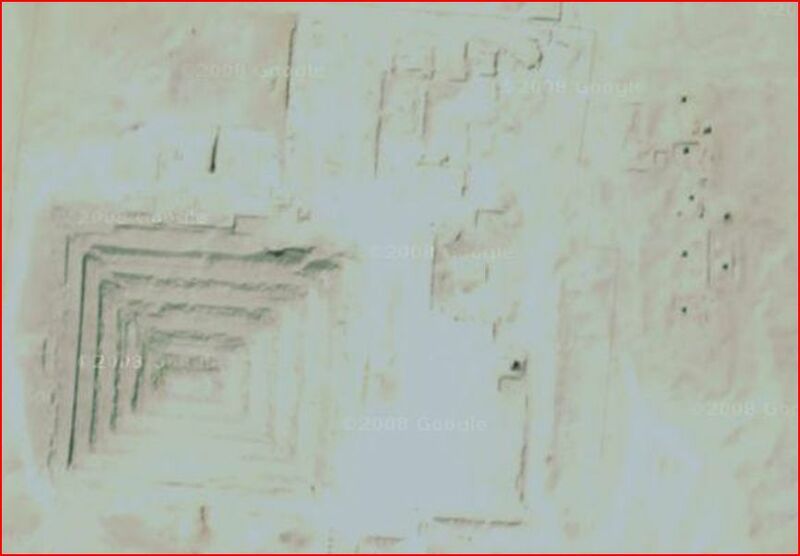 Were the tunnels under the step Pyramid used to trick robbers or were they used to retrieve grain? Did Joseph / Imhotep plan it this way or is this the way it turned out? The first entrance was most likely the direct tunnel that lead straight to the shaft. This, however, would not have been suitable for retrieving grain as it did not go to the bottom of the shaft. The Left entrance was probably more technically easy to construct and navigate to the side and bottom of the shaft than the R system but would have been difficult to use. The L system could have been a trap for enemies or robbers. The shaft was cased with limestone blocks which have fallen down and crushed the sarcophagus. The blocks are now neatly stacked in part of the tomb. On careful inspection of the above diagrams, it would appear that the entrance tunnel connects with 4 other tunnels that lead directly to the central chamber where the sarcophagus of Djoser was placed. These tunnels actually go right under the platform on which the sarcophagus was placed. While these tunnels do have branches with blind endings, it is unlikely that somebody would get lost in them and not find the central chamber. These tunnels would have lead grave robbers straight to the tomb once they had been breached. This is exactly what happened. The mummy of Netjerikhet (Djoser/Zozer) was in fact stolen by grave robbers and all that remains is one of Netjerikhet’s feet. It is much more likely that the central shaft was originally used as a grain silo and the grain flowed into these underground tunnels to some degree thereby increasing the capacity of the silo and making it safe to retrieve the grain without being buried in it. There would have been a problem of ventilation and hence the necessity to construct another series of interconnected shafts to store grain very close to the Step Pyramid and accessible through tunnels whose entrance was at the bottom of pits within the walls of the Step Pyramid Complex. The Step Pyramid complex was originally designed as a grain storage and distribution center. It’s entrance is through a building with tall columns shaped like corn. This building would have been where the corn was traded; a short walk to the pit where the grain was retrieved from the underground tunnels connecting to the grain silos. When the time came to bury Djoser (Netjerikhet), Joseph / Imhotep constructed a platform at the bottom of the first silo and lined the shaft with ornate limestone. Djosers Sarcophagus was lowered into the shaft from above. The top of the shaft was then sealed with an enormous slab of granite and a mastaba was constructed on top. Successive mastabas were added to bury the other members of Djoser’s family when théy died. Eventually, the stack of mastabas took the form of a Stepped Pyramid. The Stepped Pyramid was eventually faced with smooth limestone which over the centuries has fallen down leaving the Step Pyramid in it’s current state. The Step Pyramid complex was therefore originally intended to be a grain storage and distribution center in Saqqara. When Jospeh / Imhotep’s pharaoh died, the original shaft was used as a burial chamber for Netjerikhet (Djoser/Zozer) and a mastaba was built on top. Successive mastabas were added to form the Step Pyramid and a Morturary complex was built next to it within the walls of the Step Pyramid complex which continued to be used as a grain storage and distribution center for many centuries. 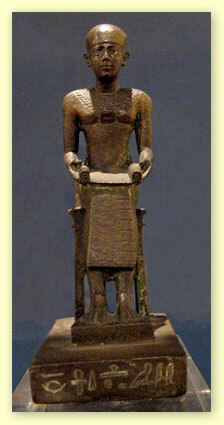 The Egyptions attributed Jospeh / Imhotep’s achievements to Ra but in fact it was Yahweh / Jehovah who was behind it all! Pharaoh Djoser’s (Netjerikhet’s) sarcophagus was placed a the bottom of a central shaft by Imhotep who then built a series of limestone mastabas which were stacked on top of one another to form the Step Pyramid. Could the central shaft have been the first grain silo that Imhotep built for the Pharaoh? It differed from other pits used to store grain in that it was lined or cased with large decorated limestone blocks. The limestone casing and roof of the burial chamber eventually collapsed and crushed Djoser’s sarcophagus.